I’ve been a Jeep Liberty fan for as long as I’ve been nomadic. When I first started living on the road in April 2006, I traded my beloved Toyota Prius with a friend for her 2002 Jeep Liberty. 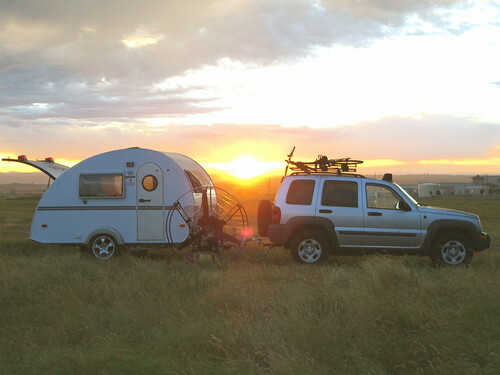 Her Jeep was the perfect match for the small Tab Trailer that I had set up to be my nomadic home, and no matter how much I wished otherwise – the Prius was just not meant to tow. As fate would have it, the farewell post I made about my Prius in an online Toyota Prius community is what prompted Cherie to first contact me – starting an online friendship that eventually blossomed into our ongoing life partnership.